How can you become a Travel Professional ? Would you like to learn more about how you can become a Travel Professional? Review the below listed videos and contact me at travel more@tjbstravel.com with a subject line of "travel professional information request" or sign up directly at www.tjbstravel.traverusglobal.com & click the join us tab. Exclusive wholesale trips specifially for Traverus Global agents! Enjoy legal & ethical tax benefits by owning a business. Many tax breaks are given to home-based business owners. Want to Make More Money? Sick of Your Job? Learn why Xstream Travel is the #1 Home Based Business on the planet. Xstream Travel is helping everyday people lead extraordinary lives as Travel Agents in the $8 Trillion Dollar travel industry. Travel is the only business where you don’t have to sell the product. Travel sells itself. 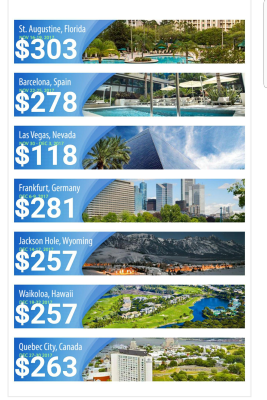 Earn More, Pay Less and Travel more...Complete the signup process www.tjbstravel.traverusglobal.com to get immediate access to the same information that over 35,000 agents around the world have used to help them decide to partner with us and are now earning an income they never dreamed of before joining Xstream Travel.